Four song EP from this California based heavy metal band. 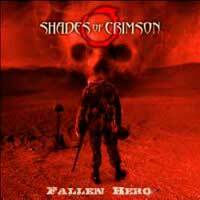 Shades of Crimson is melodic but built around heavy guitars, soaring guitar leads and the smooth, clean vocals of Frank Casciato. The music has qualities of 80's Queensryche, though they are certainly not a 'Ryche clone. In fact, though they are an American band they also have hints of that European power metal sound mixed in (Edguy, Stratovarius). The album is produced and engineered by Roy Z (Bruce Dickinson, Halford, Rob Rock), so the production is top notch. Roy even lays down a lead on the opening track.